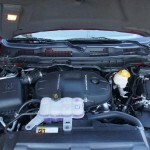 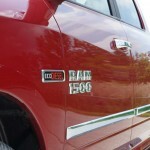 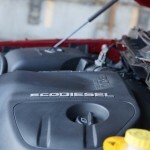 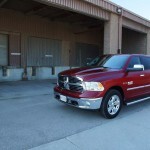 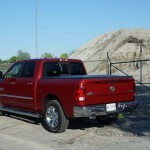 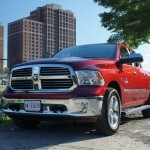 The RAM 1500 EcoDiesel is the only diesel powered half ton pick-up truck you can get today. 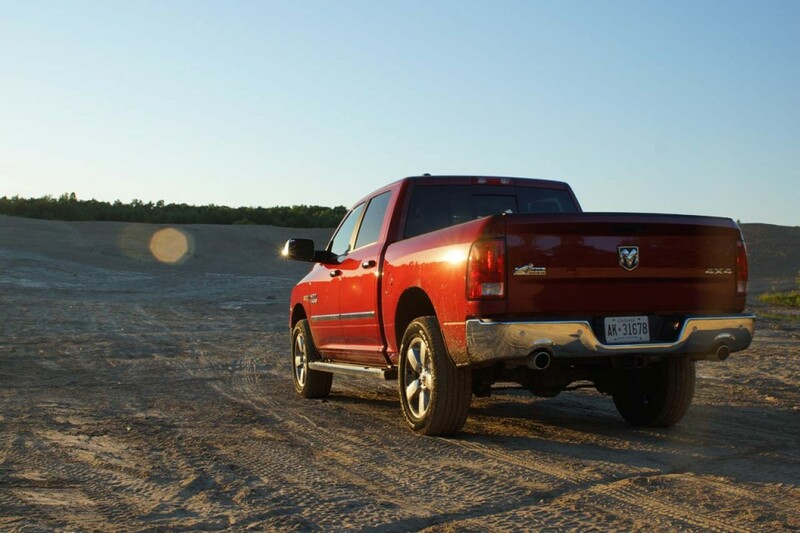 No other pick-up truck offers what is believed by many to be the ideal fuel for one. 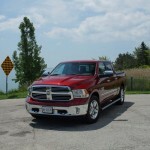 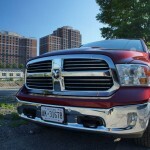 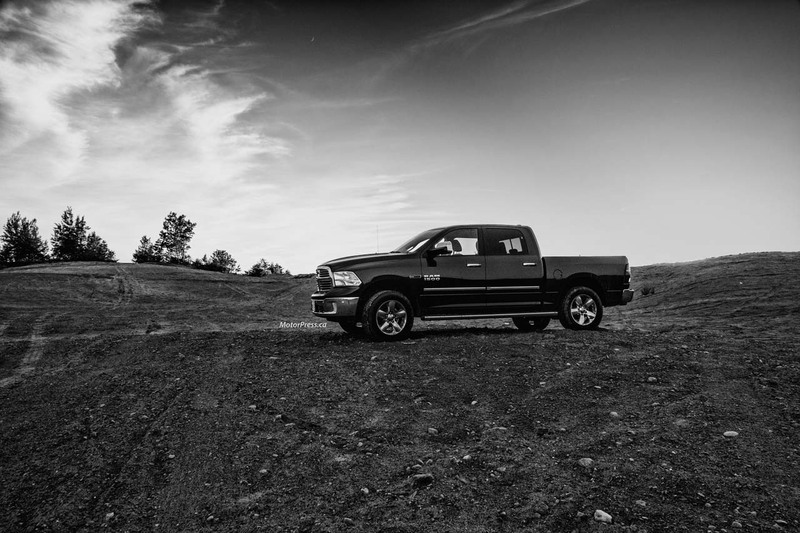 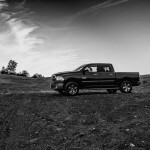 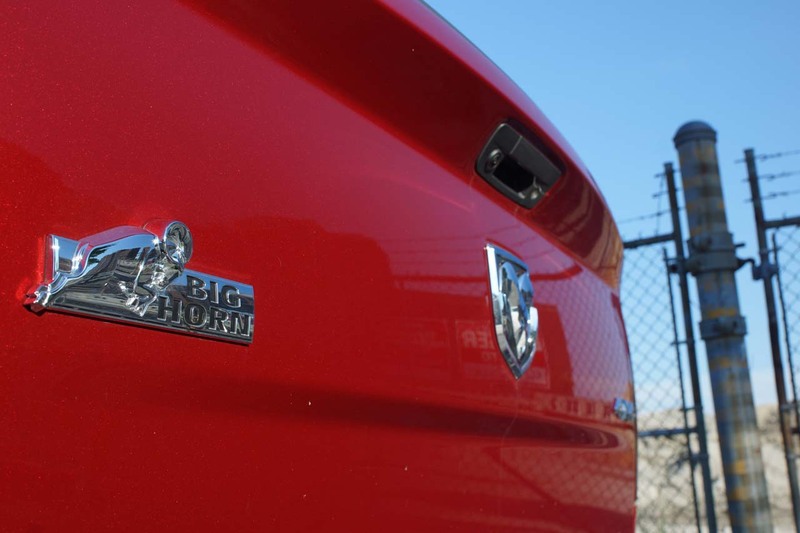 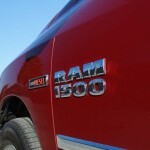 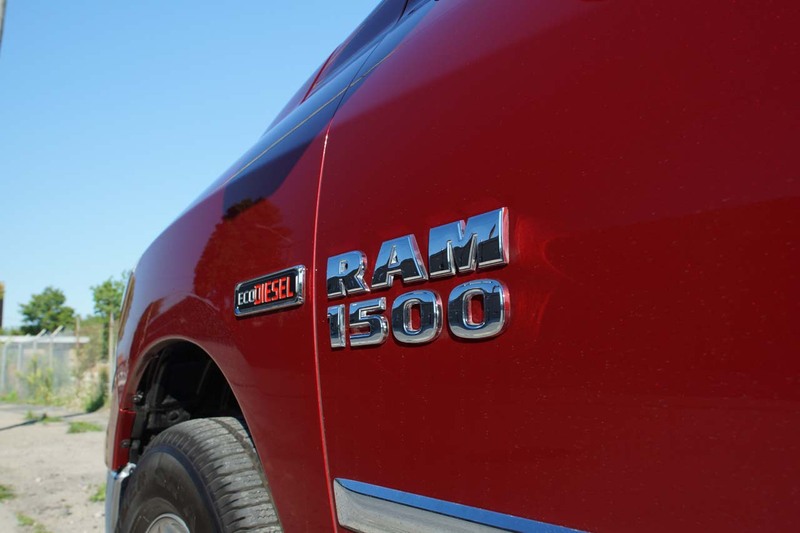 So with Italian sourced guts and legendary American glory, the 2015 RAM 1500 EcoDiesel will be the reason quite a few buyers convert to MOPAR fans. 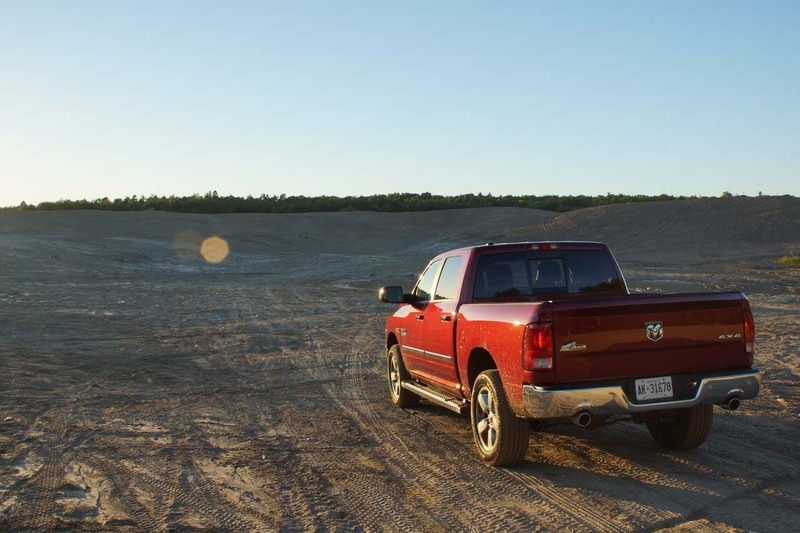 The RAM 1500 is a good looking truck, with a signature Dodge face and a stance that shouts about its rugged off-road ability and performance. 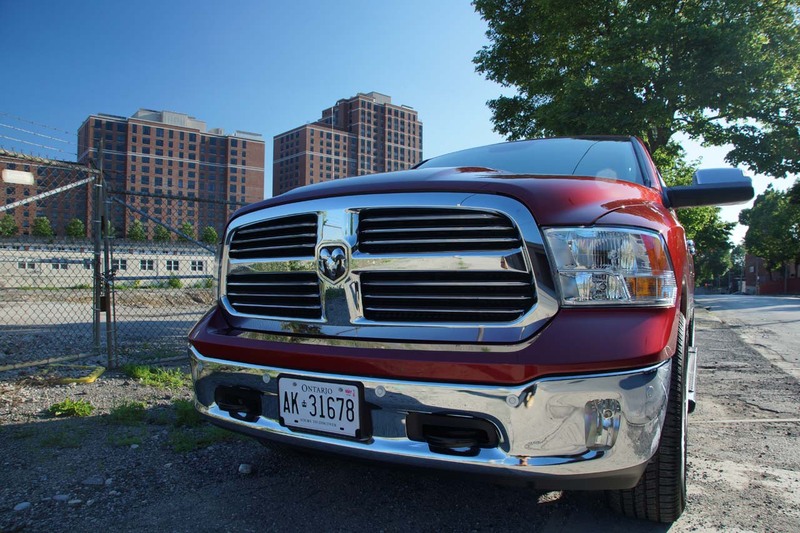 With the curved fenders and huge grille, it is the most aggressive looking and easy to identify pick-up truck. 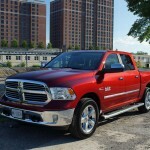 It is very impressive at first sight, thanks to its size and chrome coated bumpers, alloys, door handles and mirrors. 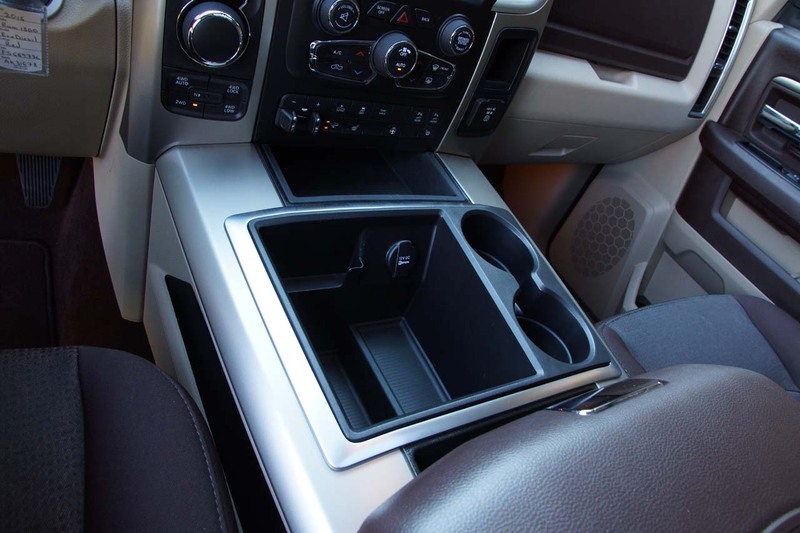 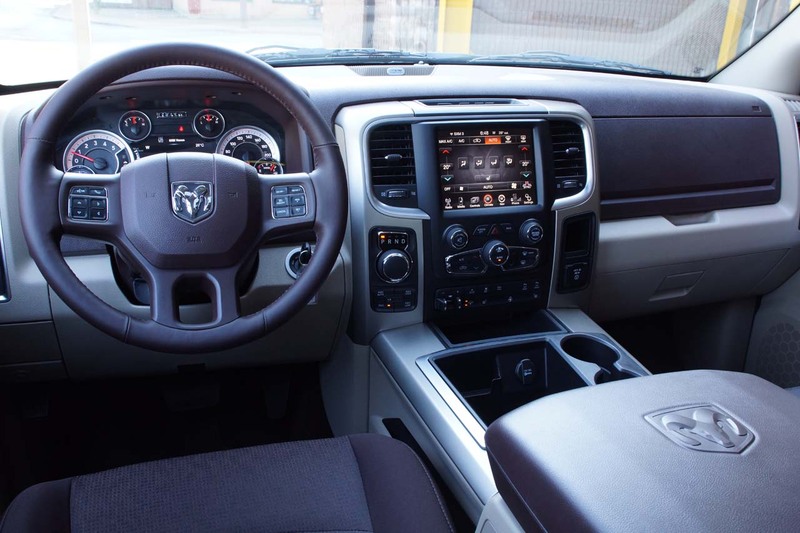 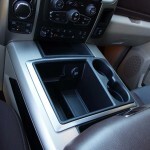 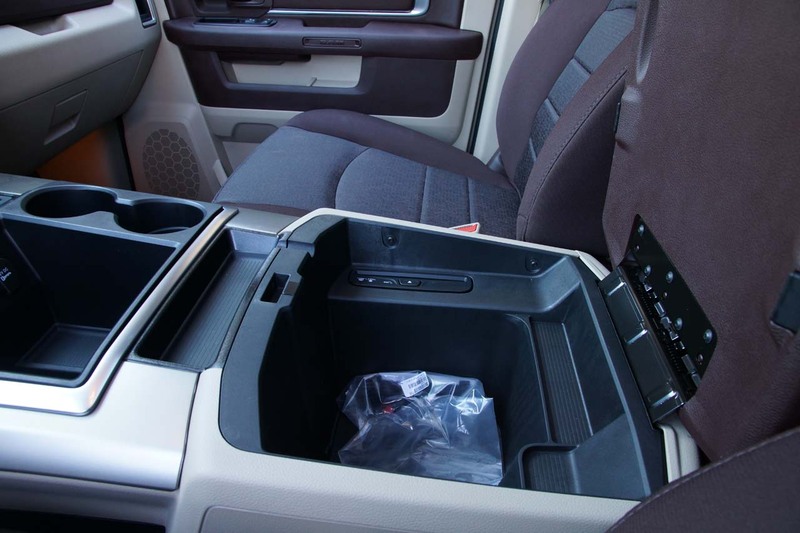 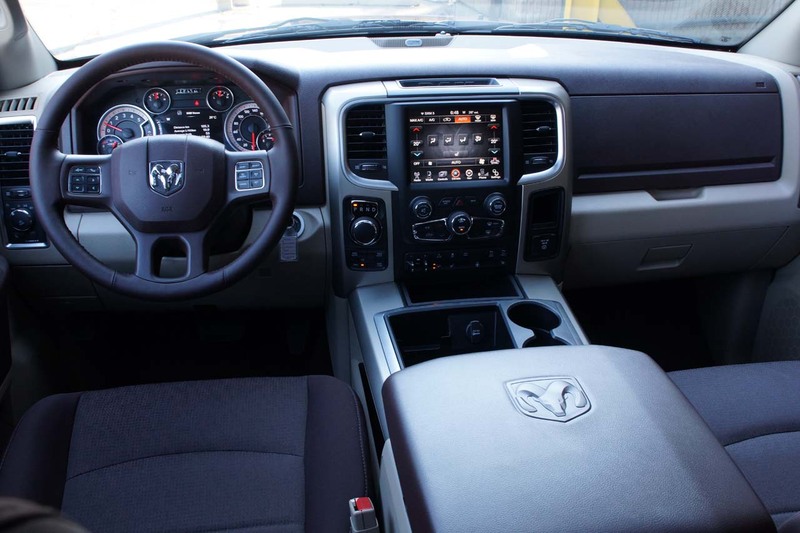 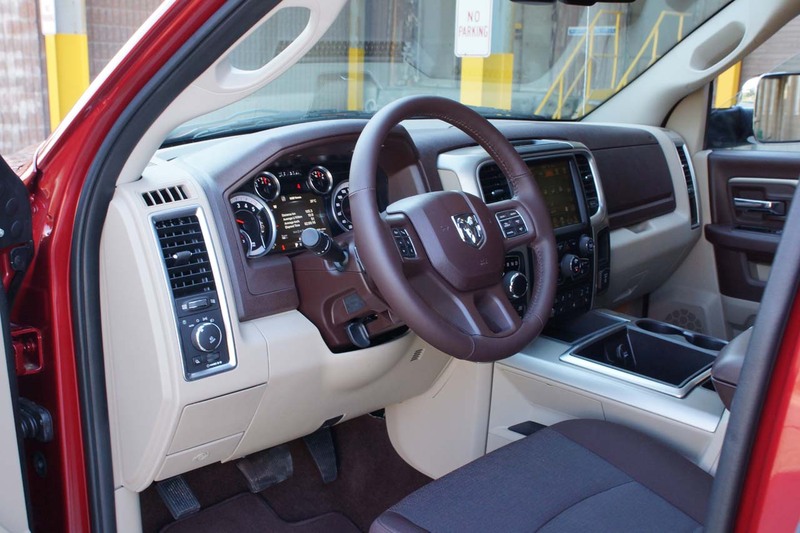 Inside the Big Horn Crew Cab, it is immediately evident that this pick-up truck was built with comfort and usability in mind. 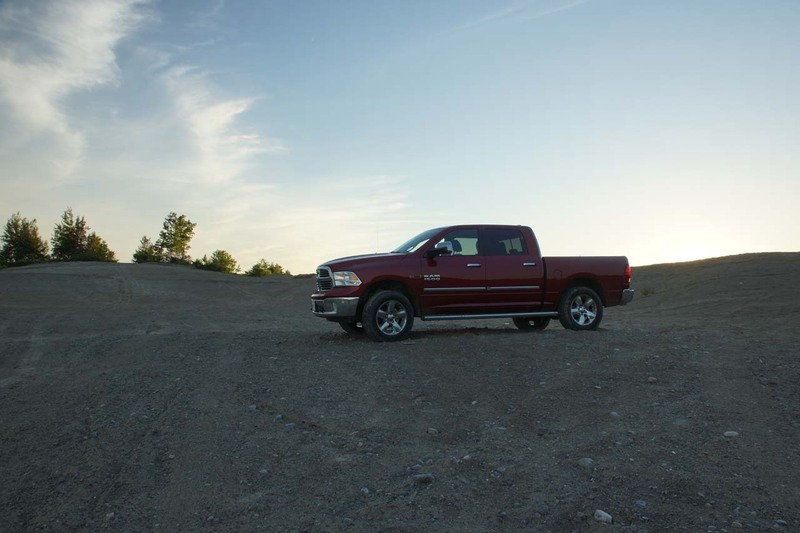 The driving position makes you feel like the king of the road, as it is very high up returning a commanding view of the road. 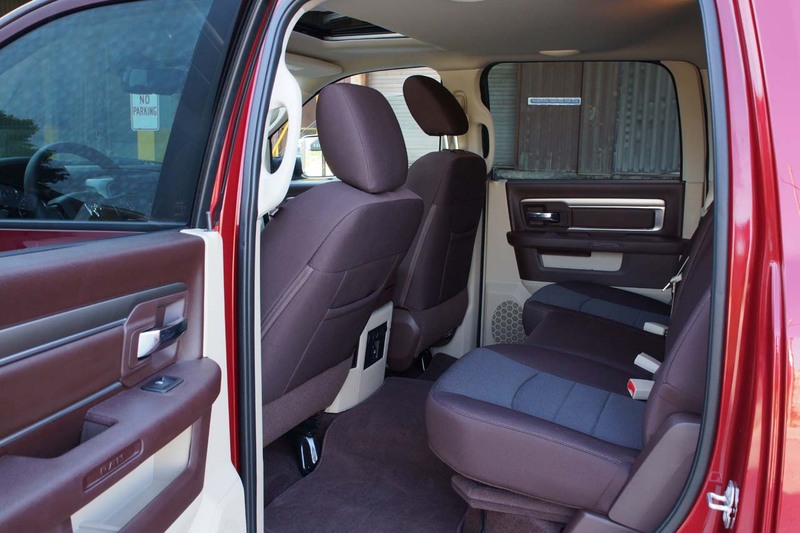 The seats are king sized and very comfortable and supportive; exactly what you’d be looking for after a hard day at work. 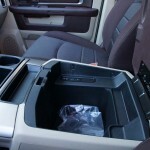 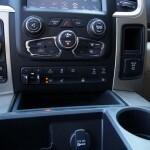 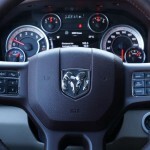 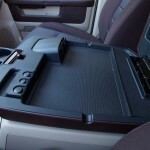 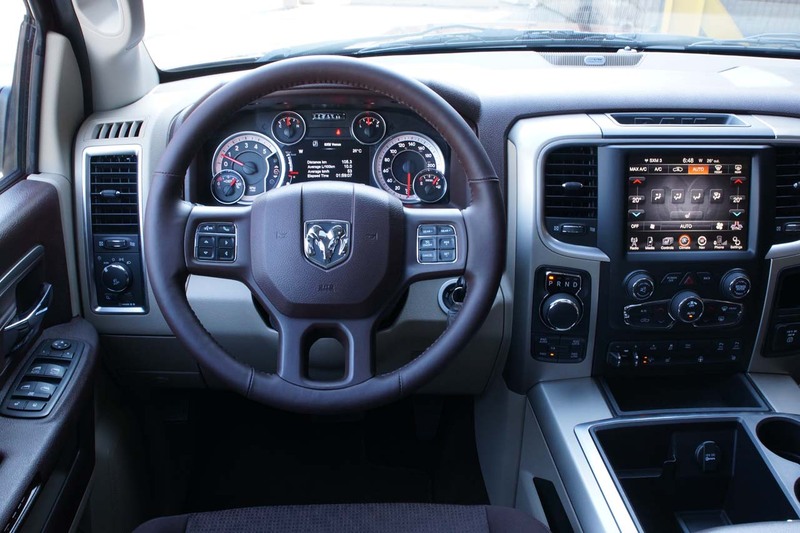 The dashboard is firmly put together and designed to look more like an upmarket SUV rather than a work truck. 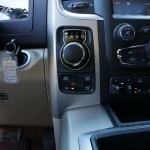 Ergonomically it scores high points, since everything is easy to see, reach and operate. 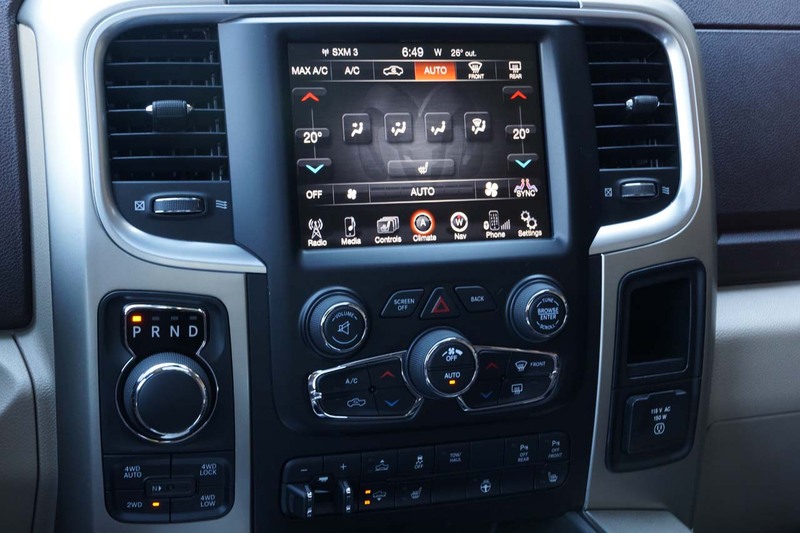 The 8.4-inch touch screen Uconnect infotainment system is one of the best systems in the market, as the bottom menu is always visible which makes it really easy to navigate. 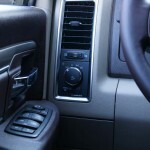 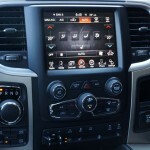 The touch screen is home to the advanced climate control settings, media sources and navigation. 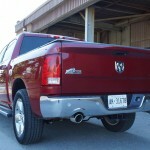 Worth mentioning is the 9-speaker Alpine sound system that packs a serious punch to it. 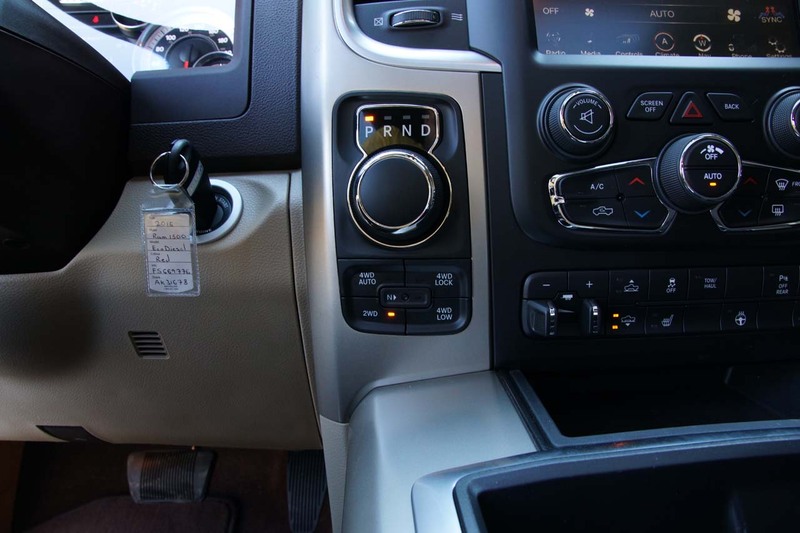 Other great features on board include the heated steering wheel, front and rear park distance control, rear view camera, independent 4-corner height adjustable air-suspension and the electronically controlled transfer-box that includes a 4WD low mode (crawl). 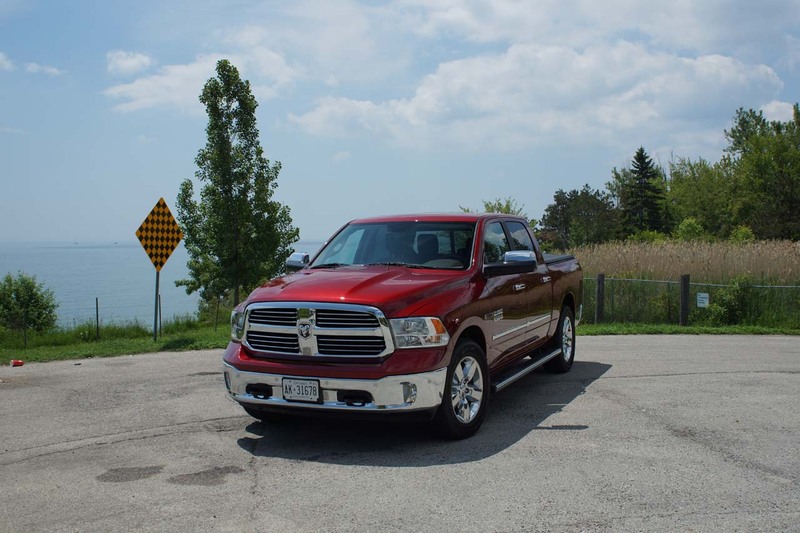 The Crew Cab version is the truck to get as it strikes a good balance between passenger and cargo capacities, while the Big Horn trim is a good option that gets you plenty of toys without breaking the bank completely. 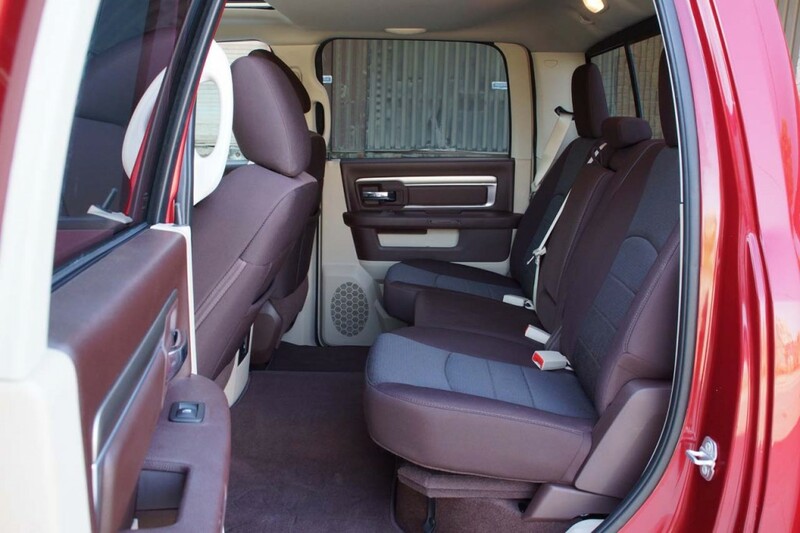 In fact, the rear bench is so roomy and comfortable, you can trow out the dirty crew and put in your baby seats and luggage, and then use the toys offered to get around the mall parking lot without crashing into any shopping carts. 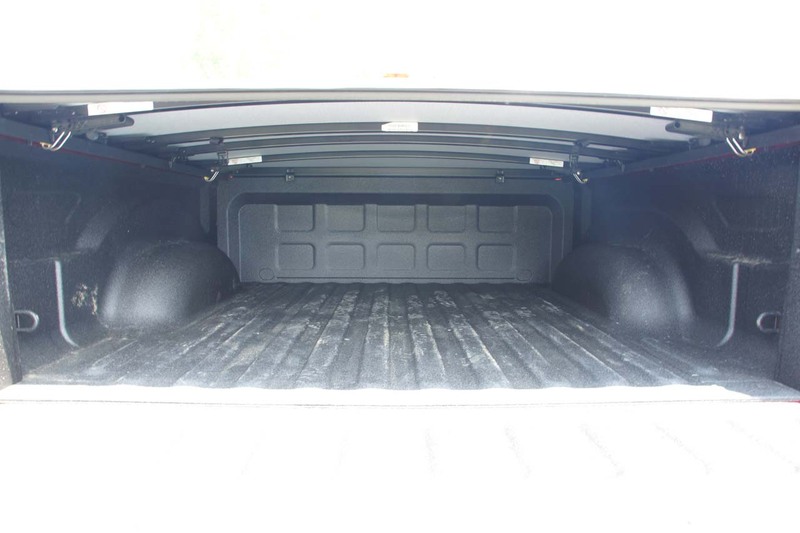 The 5.7 ft bed, with 1.400 L (50.3 cu. 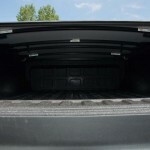 ft.) available (without exceeding the height), is very usable for light duty hauling. 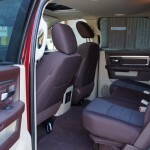 Despite the rear suspension being independent, the wheel-wells are not so intrusive. 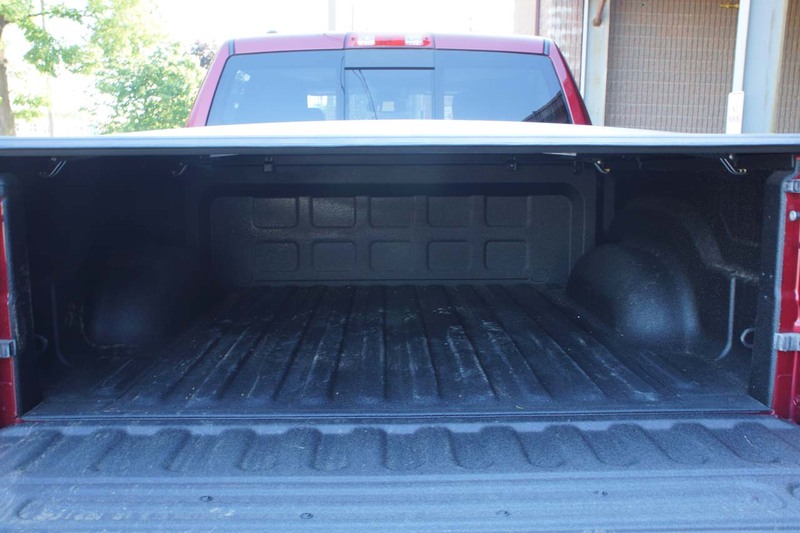 Also, the anchors for securing the cargo are tough and won’t snap on you. 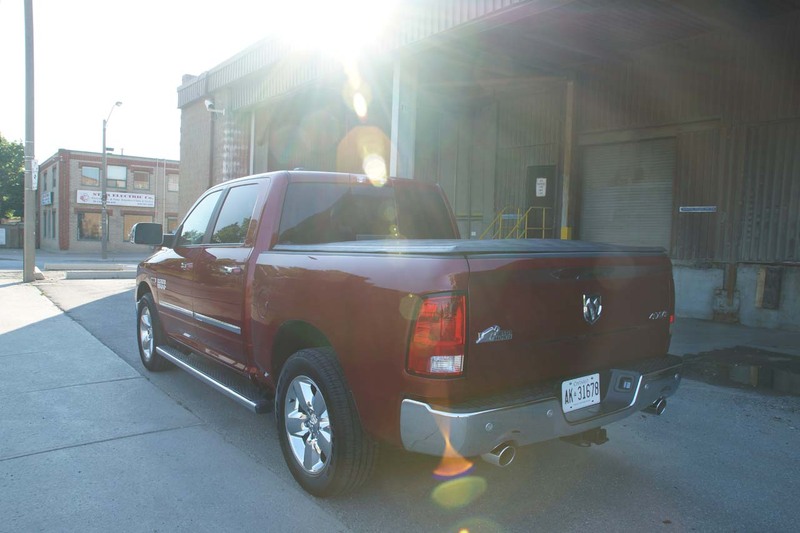 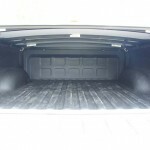 The tonneau cover that came with the truck was easy to add and remove and when on, it kept rain water from entering the bed and didn’t produce any aerodynamic noises on the highway. 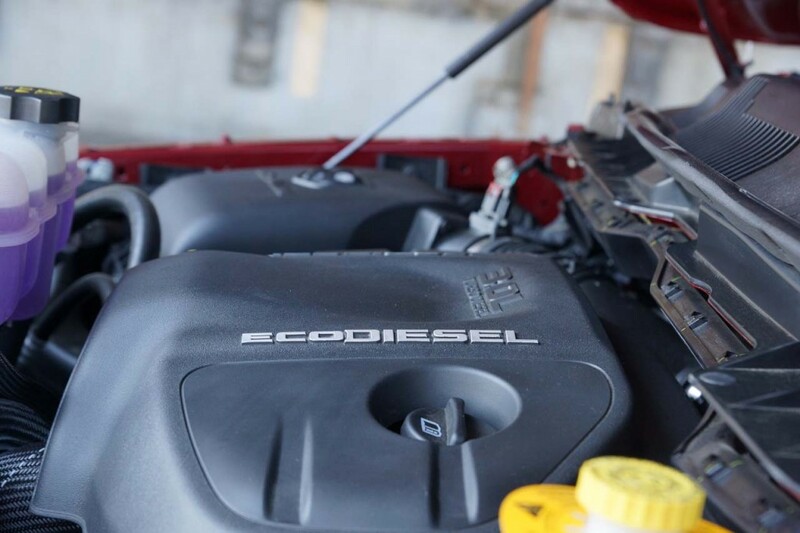 The diesel powered engine is very smooth on the motorway, purring along at very low rpms and returning impressive fuel economy. 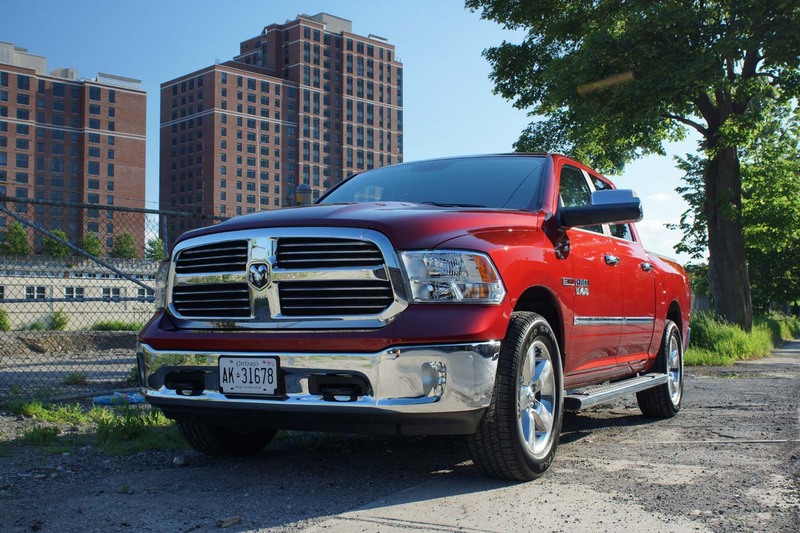 Around town, the 420 lb-tf of torque make it extra peppy off the line and effortless to follow traffic. 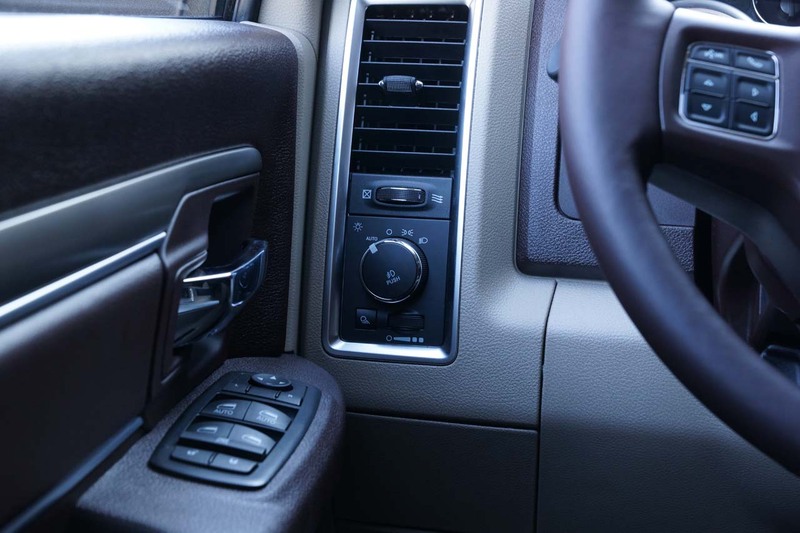 The 8-speed automatic TorqueFlite gearbox works extremely well and it is perfectly geared to make the most out of the V6 engine. 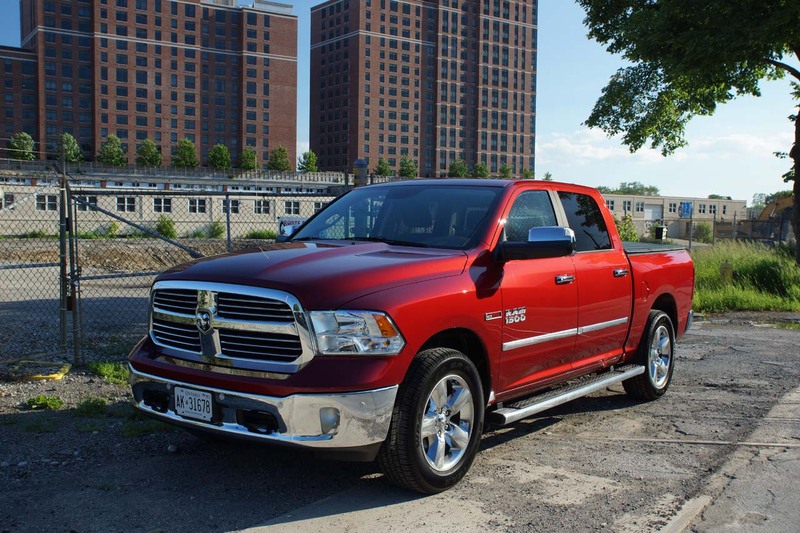 During our week-long loan, we never thought that the engine’s 240 HP was not enough; the hefty torque more than makes up for it. 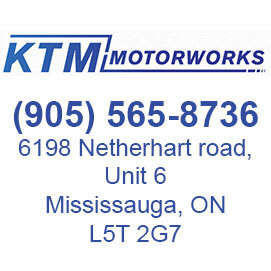 If you are interested, off the line, the sprint to 100km/h was completed in 11.4”, but really, it is just let down by top end power. 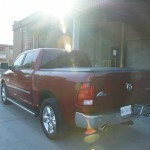 On the go, acceleration feels very good and the truck seems much quicker than the numbers suggest. 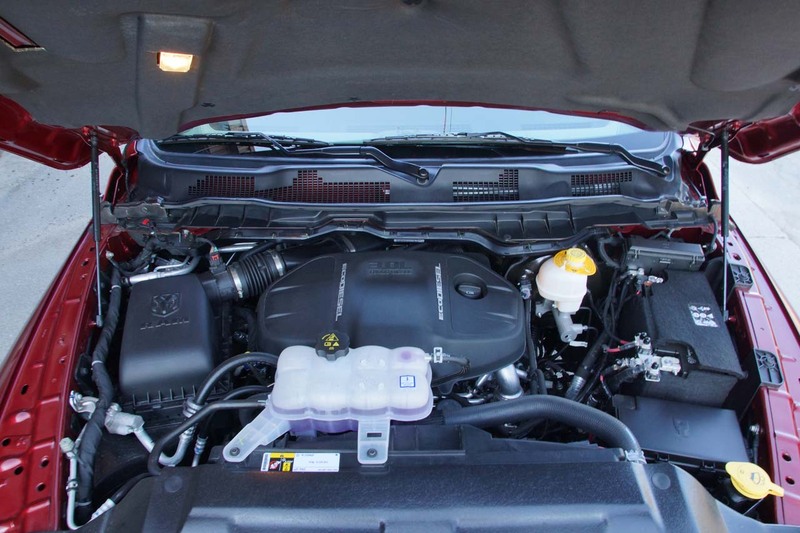 You can expect to see an average fuel economy of 10.4lt/100km if you travel mostly free of heavy loads, but expect higher numbers as you increase the work load. 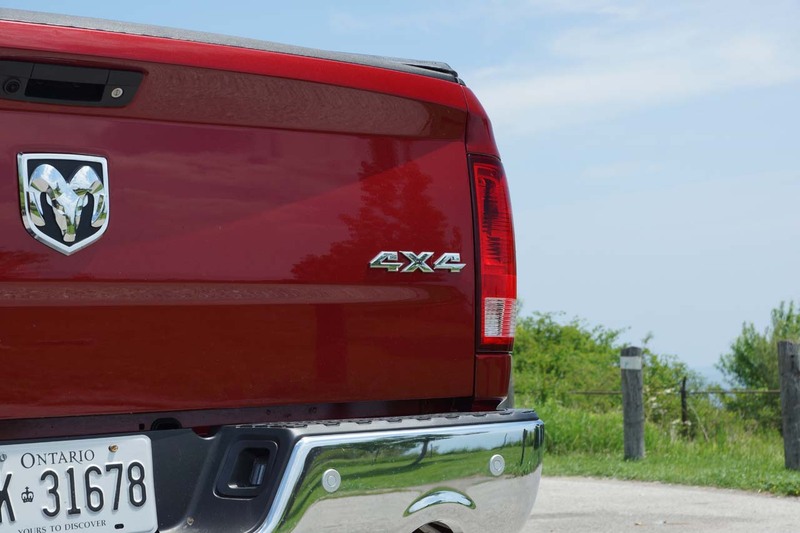 The 4×4 Crew Cab EcoDiesel weighs 2,545 KG (5,611 LBS) on its own and has a rated payload capacity of 699KG (1,540 LBS). 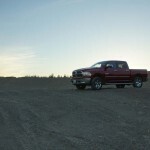 Also, with the 3.55 rear axle and 8-speed automatic, it can tow up to 3,475 KG (7,660 LBS). 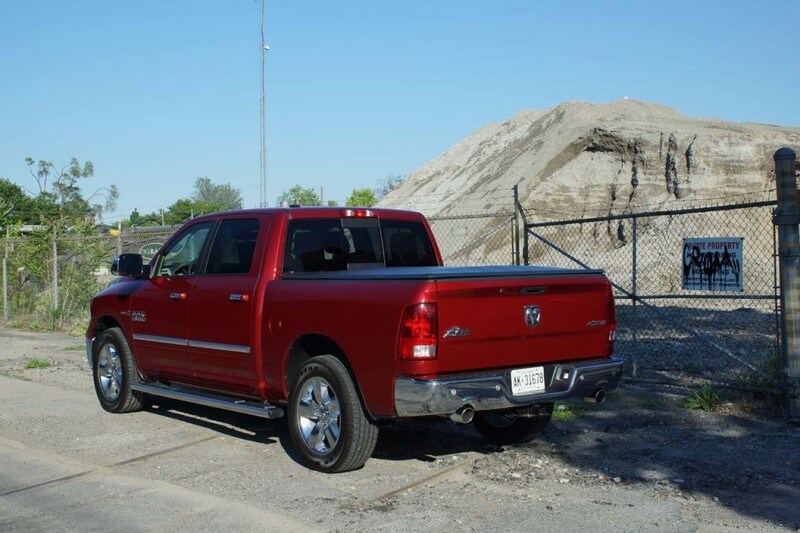 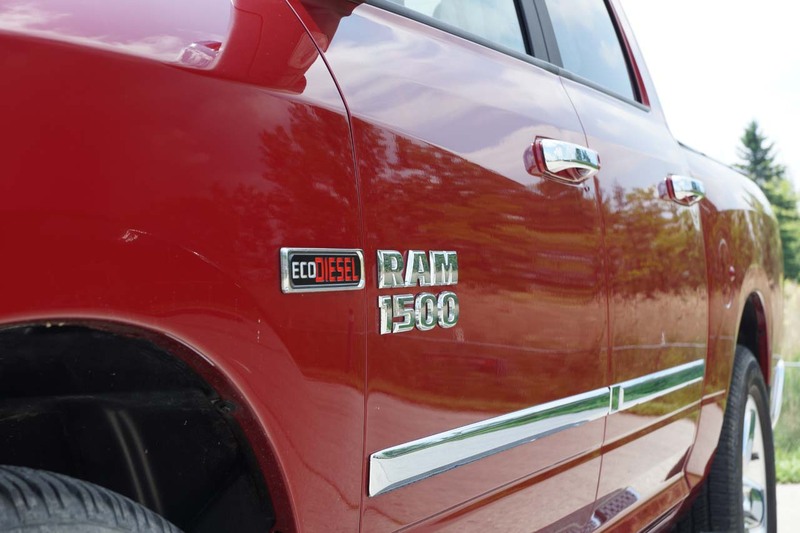 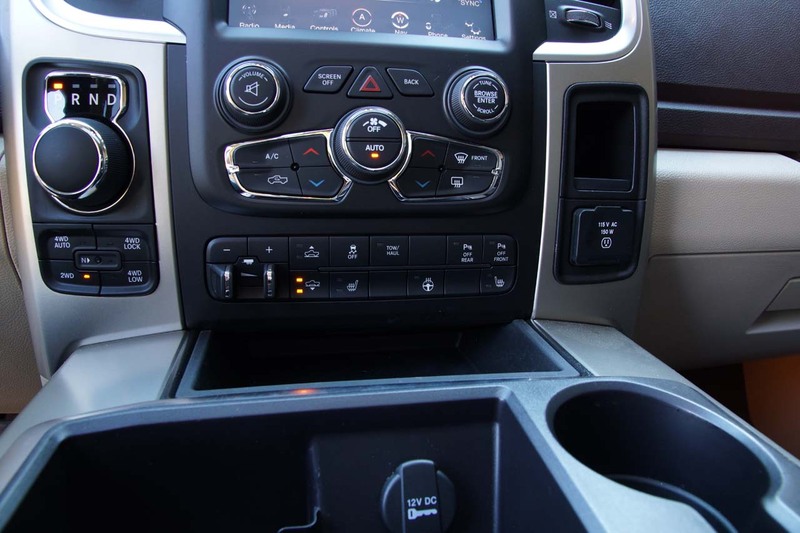 On the road, as a commuter or work truck, the 2015 RAM 1500 EcoDiesel is smooth, predictable and quiet. 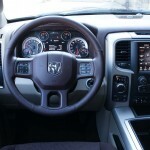 It is very easy to drive, as the steering is slightly light and visibility is generally really good. 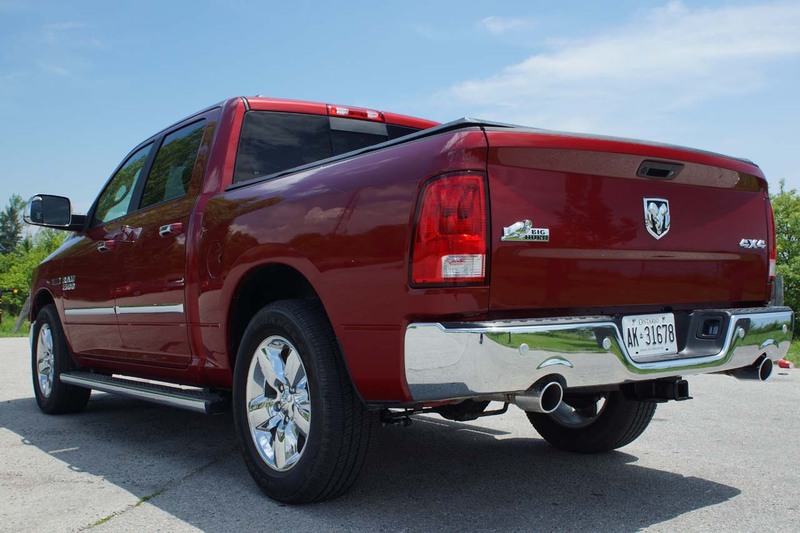 Getting in and out is a breeze, as the side running boards split the step-in height perfectly. 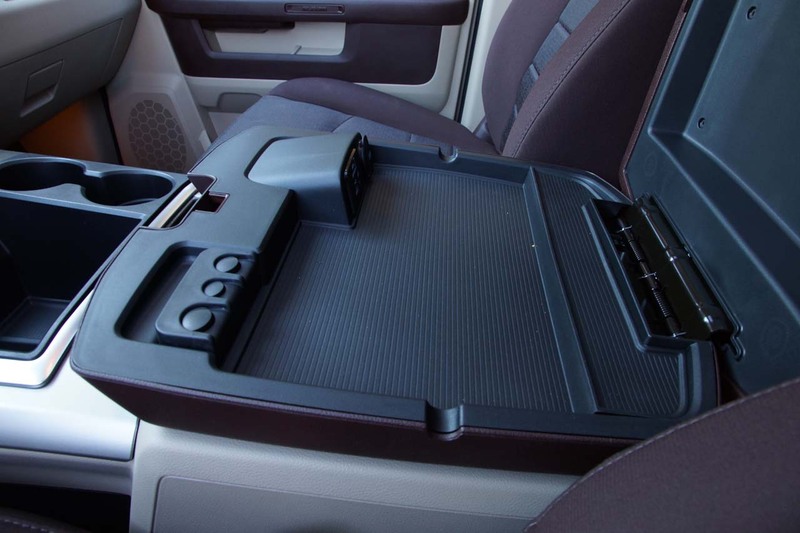 As mentioned earlier, on the motorway it will cover long distances with ease, as the air-suspension does a magnificent job ironing out the road. Handling is predictable and progressive, even in 2WD, grip limits are high and unless you are looking for trouble, it feels planted and surefooted. 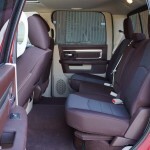 You can set the ride height to Entry, Normal, Off-Road 1 and Off-Road 2. 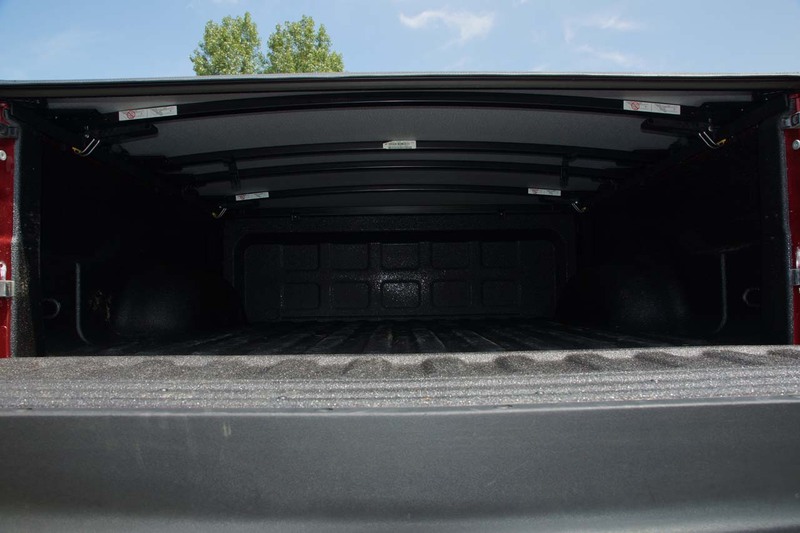 The first mode is great for getting in and out and it also helps park the truck in low access height situations like underground parking lots. 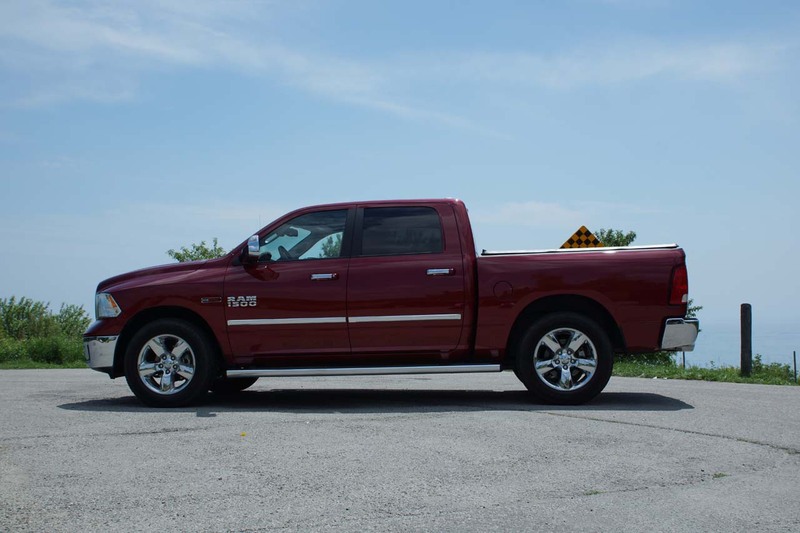 If you exceed a certain speed (about 30km/h), Normal height will be selected, which is the default height, providing excellent ride comfort and good body control. 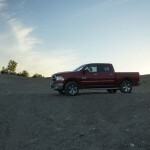 Off-Road 1 and 2 can be selected when the default approach angle of 19.8o and departure angle of 25.5o are not enough. 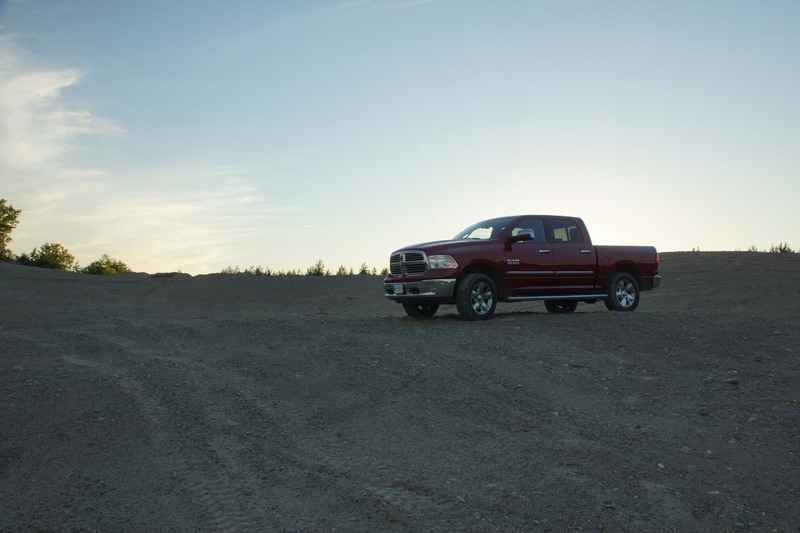 Off-Road 1 will increase them to 22.4o and 26.4o respectively, while Off-Road 2 with further increase them to 23.9o and 27.8o. 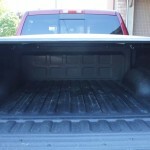 Extra cool is the fact that you can lower the truck remotely, using the key. 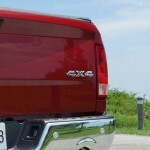 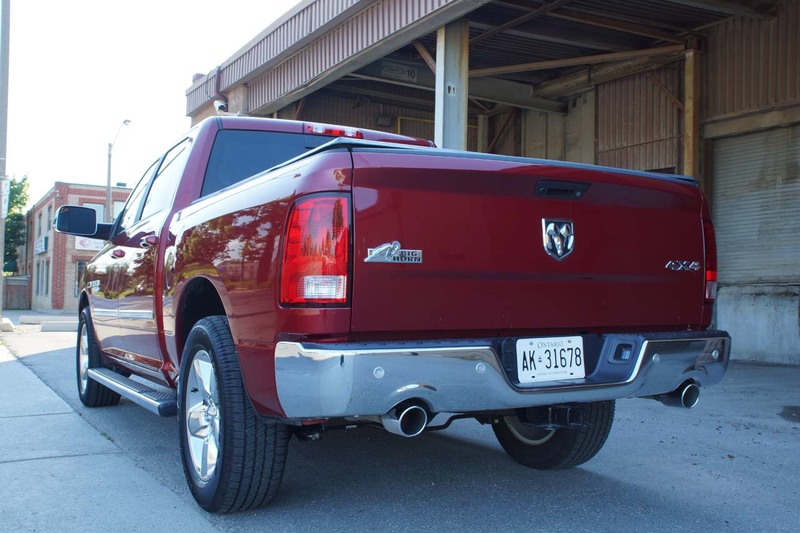 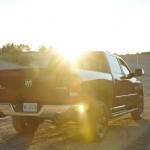 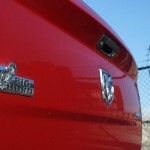 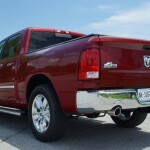 The air-suspension is indeed a feature that sets the RAM 1500 apart from the competition. 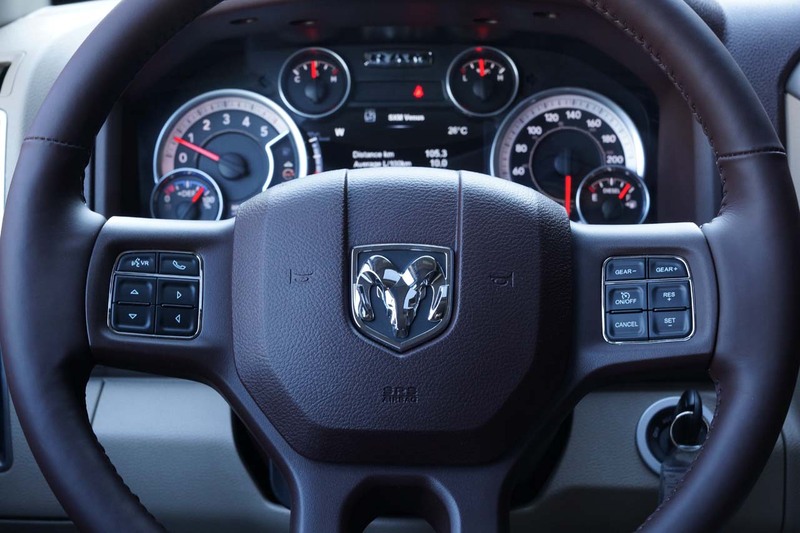 Not so much in terms of actual performance, but mostly because of the flexibility it offers. 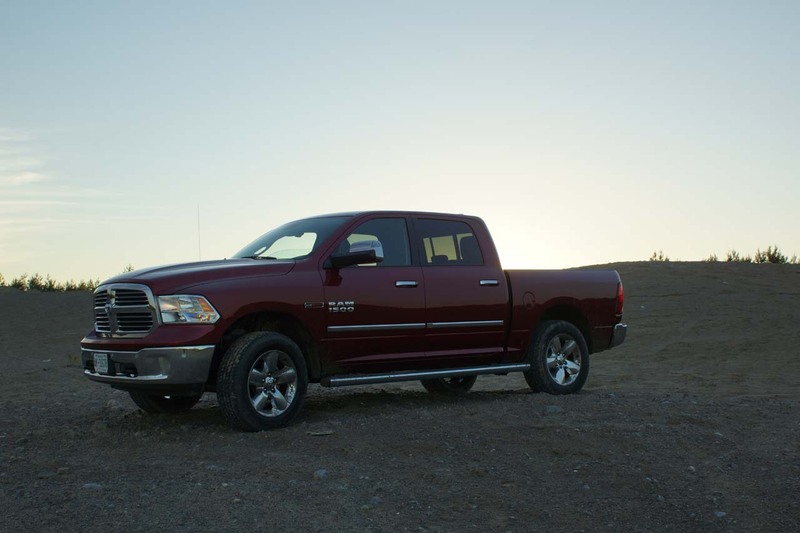 How can anyone deny that lifting it up on demand isn’t cool? 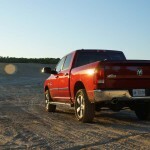 And it is not only cool, the off-road modes really do work, and even without all-terrain tires, it performed really well when we took it to our sand-filled proving grounds. 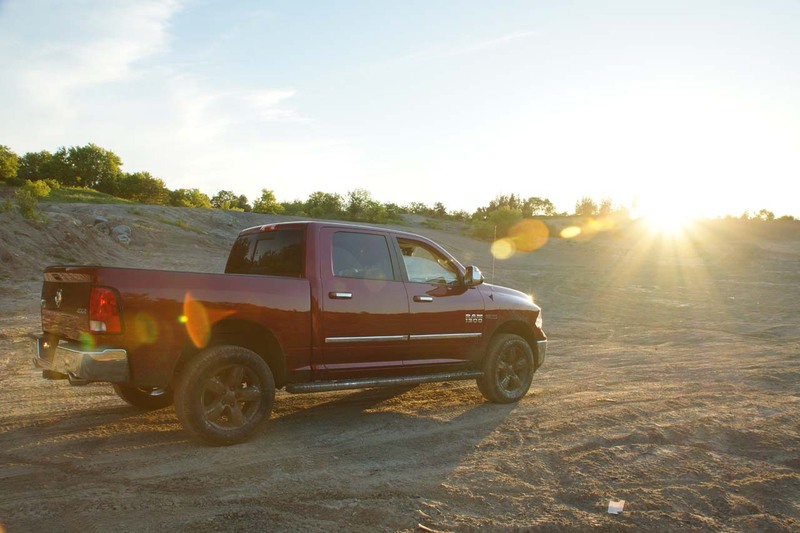 The 4WD low mode, in combination with the fully deactivated traction control and smooth hill-descent-control made carving trails really effortless, showcasing the impressive ramp break over angle of 24.2o and the really strong brakes that never gave up. 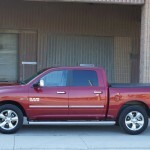 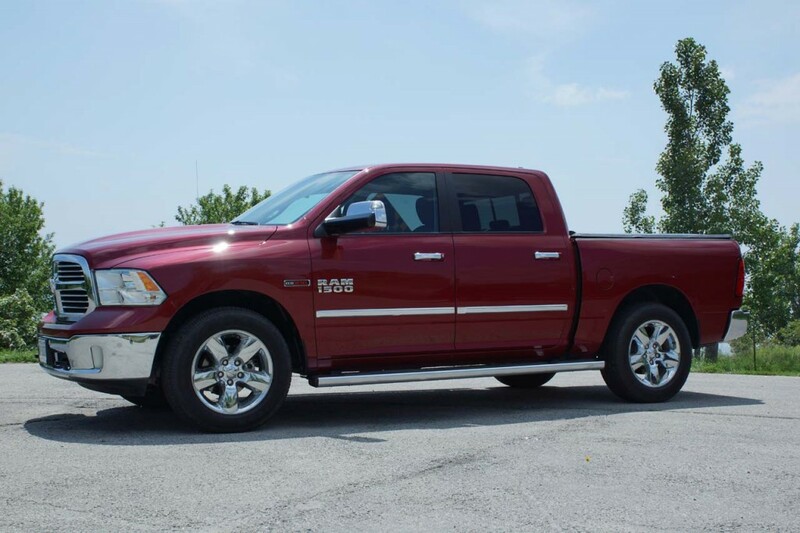 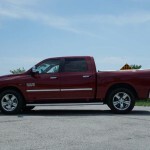 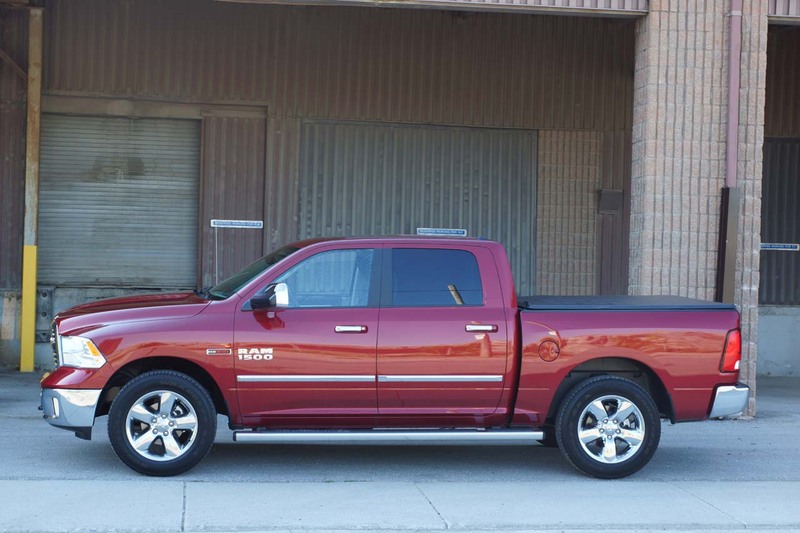 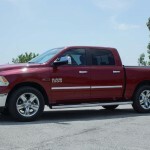 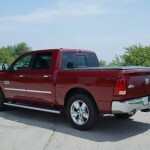 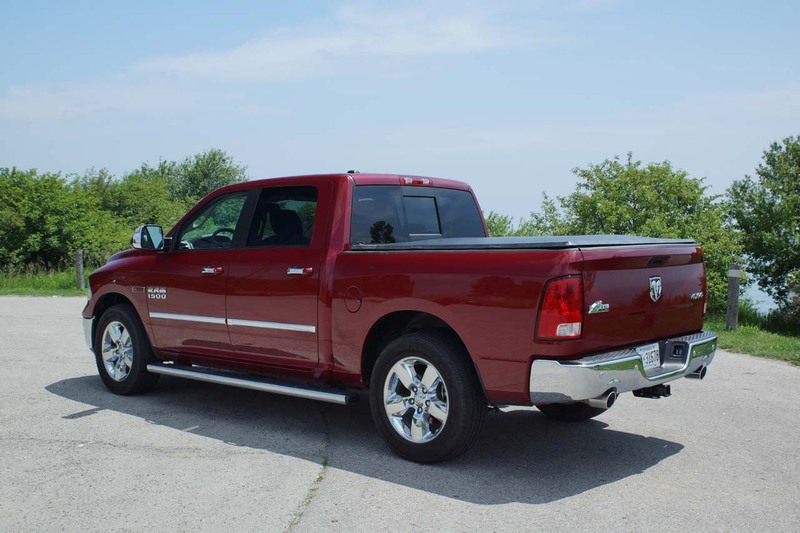 The 2015 RAM 1500 Big Horn Crew Cab 4X4 with the EcoDiesel 3.0L V6 engine would be the truck we’d buy if we wanted a pick-up trunk that is perfectly balanced between charm, work and efficiency. 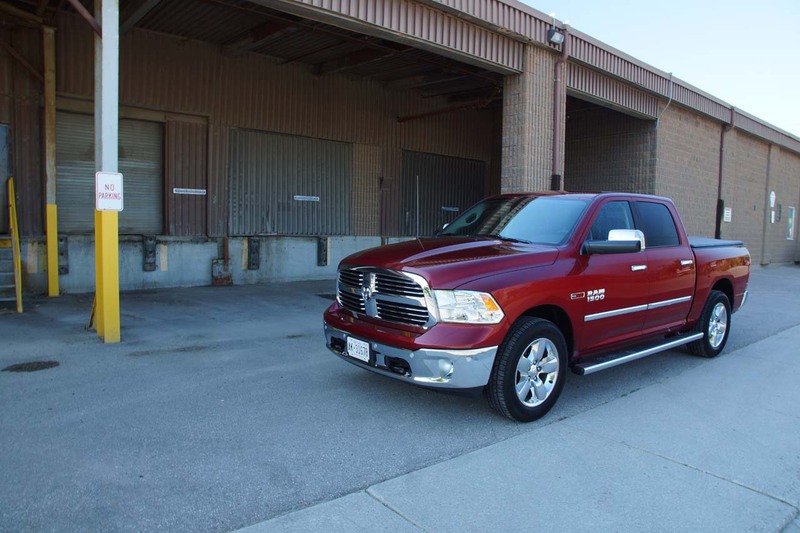 At $64,300 CAD before taxes and delivery, it surely doesn’t come cheap, but you will definitely be glad to see where your money went. 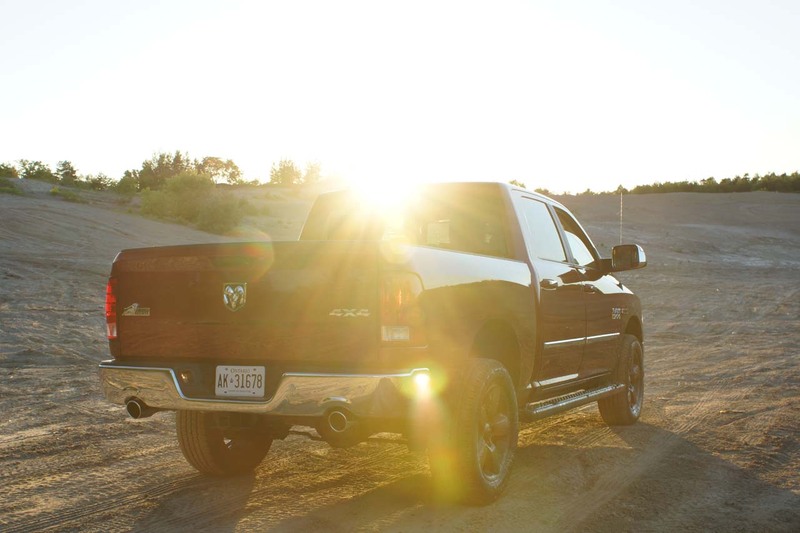 What will make you even happier though, will be the need to fill up the tank once in a blue moon. 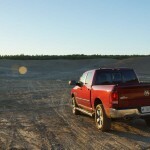 The toughest truck is also the most economical.